An Erie, PA based company with over 20 years experience building Custom Residential Homes, Remodels, Commercial Structures and Home Renovations. New Homes for every pocketbook from Cottages to Castles. At Montagna Builders we pride ourselves on using the best materials and workmanship to build you a home that will provide maintenance free enjoyment. All of our homes are fully guaranteed. 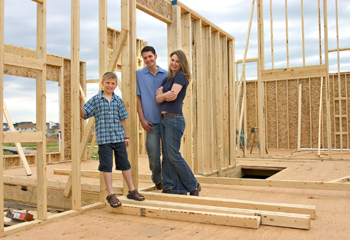 We keep our overhead low, and in doing so, we are able to build you a quality home at a very competitive price. We provide you with no-nonsense direct building cost quotes on all homes, to ensure that you know what you’re paying for. We have local land listings and can help you arrange financing. If you’re looking for prompt, friendly service, year 'round, it’s time to make your NWPA dream home a reality. Whether it’s a summer cottage, retirement retreat or that cozy ranch or cape style home you’ve been thinking about, can satisfy your needs, and do it affordably. The way life should be! Watch One Minute Of Tom Montagna Installing wood flooring!